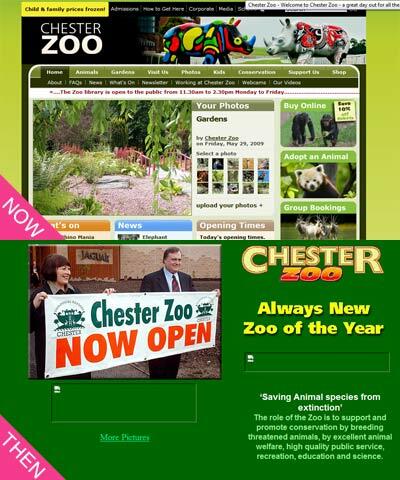 The 2001 Chester Zoo website was unusual in that it had next to no interesting animals pictured on it. I suspect what might have happened was some confusion when the web designer was asked to incorporate a picture of two jaguars onto the homepage. 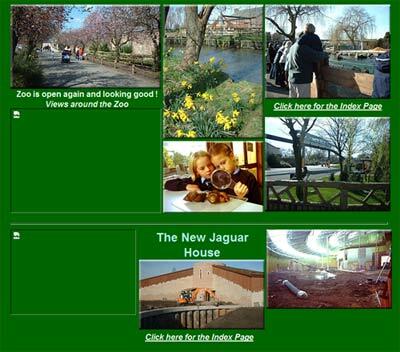 "I like our zoo website. My best animals are orangeutangs. I am learing from my English text book. I like school sometimes and I like popcorn much. I am blonde and I am 11. My mum is 31 and my dad ist 34. They much enjoy things together. My grandma is dead and has bin for much times. I wish I will be ever looking at our zoo for real." "What is John Prescott doing on our home page? 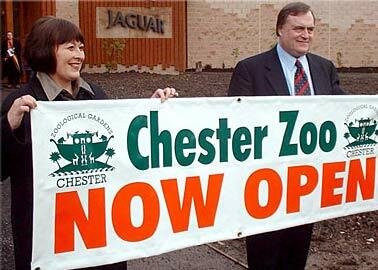 Zoos should not be about politics. God help us if they are." "One of the keepers, Andrew Lenihan , is a dead ringer for Freddy Mercury"
This entry was posted on August 2, 2010 at 7:48 pm	and is filed under Chester Zoo. You can follow any responses to this entry through the RSS 2.0 feed. You can leave a response, or trackback from your own site.